On this episode of The GAP Luke Lawrie and Joab Gilroy go through a bunch of the things they did while at PAX Australia 2015. But first Joaby rants about how games media is turning into garbage after it’s announced that Games.On.Net is getting shutdown. Then on to PAX they talk about Roto Color Runners, Rivalry, Battleborn, Mallow Drops, Bearzerkers, Death Stair, Cuphead, Colt Express, Objects In Space, Zero Latency VR, and more. Over in the news they look at Paris Games week, Batman Arkham Knight is back on PC but people still aren’t happy, Mirror’s Edge Catalyst gets out of a busy February schedule, and Activision spends a lot of money on Candy Crush. 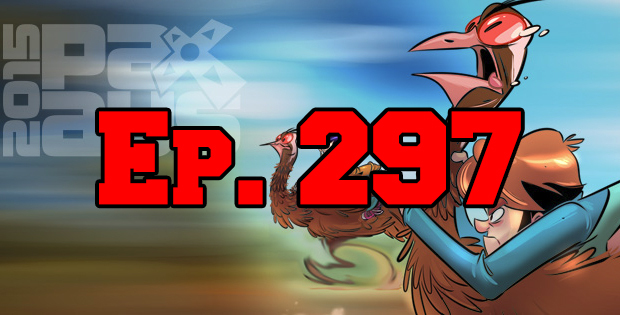 This episode goes for 2 hours and 12 minutes, and it also contains coarse language.